Close to 1,000 servicemembers will be receiving portions of a rather large settlement reached between the U.S. government and several mortgage servicers regarding their SCRA violation. 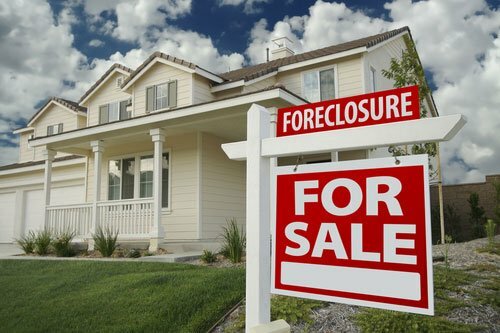 U.S. Justice Department announced that it has reached a settlement with five mortgage servicing firms after they illegally foreclosed on a number of active duty servicemembers in violation of the Servicemembers Civil Relief Act. More than 950 active duty individuals were allegedly foreclosed on in a flurry of breaches of the SCRA. A chunk of the persons have already received their portion of the settlement, while the majority of those affected have yet to be handed their portion of the payment. Bank of America has already paid out $35 million to 286 servicemembers and their co-borrowers, according to Military.com. Under the settlement, another 666 servicemembers and their co-borrowers will receive $88 million from from GMAC Mortgage, Citi, Wells Fargo and JP Morgan Chase. Each individual will receive $125,000 in addition to any equity in the lost property and interest on that equity. Citi will dole out about $14.88 million to 126 servicemembers, GMAC Mortgage will have to pay close to $13.72 million to 113 servicemembers, JPMorgan Chase owes 188 servicemembers about $31.07 million and Wells Fargo will pay approximately $28.36 million to 239 service members. The foreclosures in question occurred between Jan. 1, 2006, and Apr. 4, 2012. The Department of Justice also noted that JP Morgan Chase will provide identified servicemembers with one of two things: The property free of any debt or the cash equivalent of the home’s full value at the time of sale, as well as a chance to submit a claim for any other damages caused. How did the banks that have been forced to pay-up find themselves in this situation? Because of the Servicemembers Civil Relief Act, servicemembers are offered extra protections regarding their loan obligations that aren’t afforded to your average citizen. Lenders cannot foreclose on someone, or seize his or her property for a failure to pay a mortgage debt, while that person is on active duty for a three month grace period – at least not without approval from a court, in which case it will have to be proven that military service did not in any way prohibit the individual from paying his or her debts. It reverted from nine months to three months after Dec. 31, 2014. The protections assigned to servicemembers by the SCRA are implemented when active service begins, and are removed three months following the term of service. Due to the special protections provided to servicemembers by the SCRA, banks are limited in the ways in which they can collect on persons who are on active duty. This is why debt collectors should verify whether or not an individual is currently deployed or on active duty before continuing with any foreclosing actions, as doing so without the proper preparation can lead to a legal entanglement, such as the one the five above-mentioned services found themselves in.